Earlier today, the weather agency issued a winter storm watch, as up to 20 cm of snow was expected. Visibilities should improve during the afternoon as the precipitation changes to a mix of snow and ice pellets, although winds should remain rather gusty. During the storm, expect surfaces such as highways, roads, walkways and parking lots may become difficult to navigate due to accumulating snow. “Visibility will be suddenly reduced to near zero at times in heavy snow and blowing snow. There may be a significant impact on rush hour traffic in urban areas,” reads the warning. 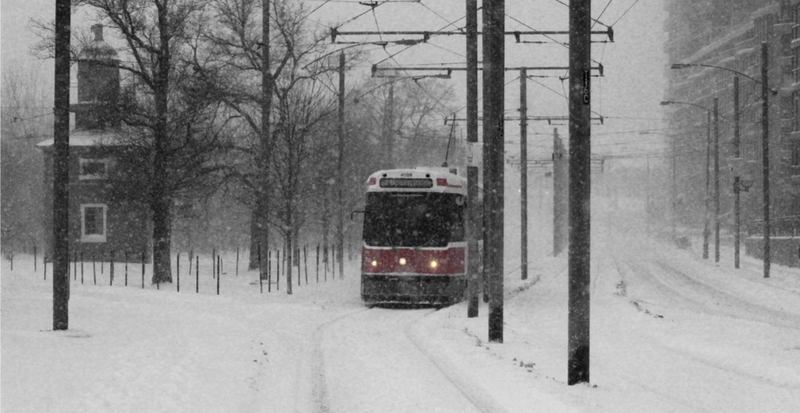 The City of Toronto issued a cold weather alert earlier on Monday.